Eco Valley Master Plan is an innovative master plan with a green focus. 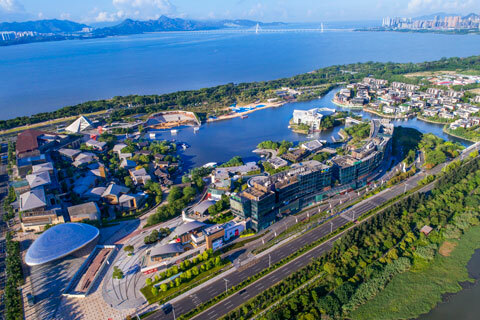 Located on the south side of the villages of Liangxiang and Doudian, the site includes existing villages which will be redeveloped toward solving China’s “three rural issues”: agriculture, topography, and the local farming population. Through various phases, the project’s role as a tourist destination will provide the Eco Valley Plan a vibrant means of achieving the development’s goals. The project’s key idea is to create a series of crisscrossing courtyards with a pedestrian path. Evocative of the local vineyards’ rolling hills, an undulating roof covers a several large exhibition halls along the pathway. Experience Hall is the development’s core, embodying the project’s goals, with interactive activity space, restaurants and cafes. Materials put the mission into the details via a palette that complements the environment.